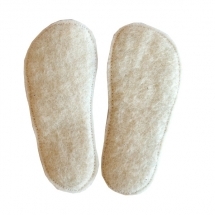 Light, soft, and comfortable slippers. 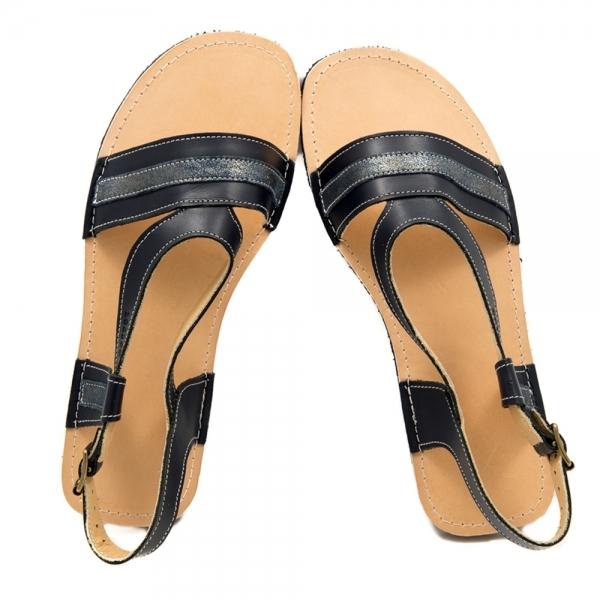 They can be made with soft suede sole for indoor use and with harder but lightweight and thin sole from microcellular rubber for the kindergarten. The products in this category are suitable mainly for in-door use - they are as light as possible with a light sole and can be used at home or in the kindergarten. If you are looking for a moccasin model suitable for outdoors, look in the Shoes for children from genuine leather category. All moccasin models can be manufactured as outdoors shoes - with more resilient and less slippery Vibram(r) sole, with a genuine leather lining for better insulation, and resilience, with a sole covering the toes and the heel area, which protects them from the environment. Advantages: The moccasin model are extremely comfortable because they do not have stitches and edges that could press and injure the foot. Suede elements are stitched to the sole, which provides additional protection to the kid's foot and prevents it from slipping. They can be manufactured with a 5mm thick, lightweight but hard and elastic sole from micro-cellular rubber with a good elasticity. 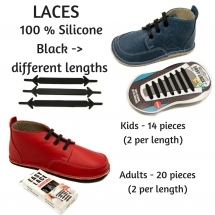 When manufactured with micro-cellular rubber soles, the moccasins can be used in the kindergarten or in the yard.